This screw-on bead replacement sight offers instant success to cross-eye dominant shooters. 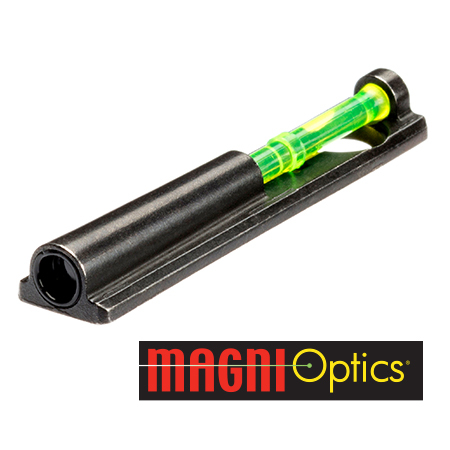 Utilizing HIVIZ Magni-Optics® Technology, Magni-Comp is an affordable sight solution that replaces standard beads on most shotguns, offering struggling shooters immediate relief and better shooting. Comes with red and green interchangeable LitePipes and a big smile.